Posted on June 10, 2016 at 12:56 pm. The Australian Hotels Association is targeting anti-pokies campaigner Nick Xenophon and the Greens ahead of the July 2 poll. Xenophon is an independent senator and a long time anti-pokies campaigner, who was originally elected in the 90s on the back of strong opinions on gambling. The Greens are another party with strong views on problem gambling. It is being reported by Fairfax newspapers the Australian Hotels Association and other wealthy pro-gambling types have been donating hundreds of thousands of dollars to political parties who are friendly to wagering. Senator Xenophon’s team is expected to make a major splash at the election, after founding his own party NXT (Nick Xenophon Team) last year, with gambling reform one of their major issues. Xenophon could win as many as three seats in senate, which would make him a serious political force, who could hold the balance of power with the Greens, in the next government. City of Dreams Casino opened part of its much-anticipated shopping mall on Friday. The Macau government has told all casino operators they want to see non-gaming revenue, jump by at least an average of 2.4% per venue, which would make it an average of 9%. The mall includes high-end fashion brands Aquazzura, Botega Veneta, Moncler, Rupert Sanderson, Tod’s and Valentino, “with many more to arrive in the near future”. The financial and wagering industries are watching Macau closely with the downturn in the last 18 months. Melco Crown in May reported a 34% year on year decline in revenue. Euro 2016 is due to kick off today and what a fantastic tournament it will be! 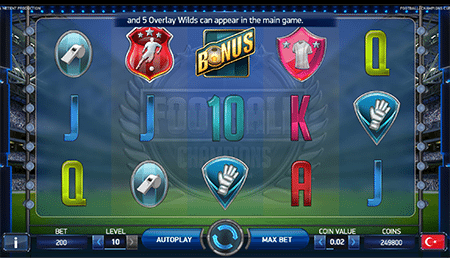 To celebrate leading casino software provider NetEnt has released a themed online pokie called Football: Champions Cup. The game, which you can play at Guts.com, is a tribute to the tournament being played in France. It gives you the opportunity to pick one of the competing teams before you begin spinning the reels. The game is set inside a full house stadium, and it is a five reel slot. This means with three symbols displayed on each of five reels there is 15 symbols at once. When it comes to value each coin can be set anywhere from $.001 to $0.50, meaning it can be played by both high rollers and those of us with smaller bank balances. You can play Football: Champions Cup at www.Guts.com where you will receive $400 in bonuses + 100 free spins. Jackie Glazier, the star Australian poker player, will no longer be an ambassador for 888Poker, after three years in the role. The World Series of Poker bracelet winner has fronted the world’s second largest poker room, along with another Aussie, cricketer Shane Warne, who left the company last year. Glazier has enjoyed, and continues to enjoy despite a lean 18 months, much success on the pro tour, with her wins including success at both the 2012 and 2013 World Series of Poker. Her strong performances caught the eye of 888, who she joined, immediately winning the Ladies Event at the WSOP Europe in 2013. Glazier will miss the WSOP for the first time in seven years, instead focusing on her podcast, Dynamic by Design, which is a poker training guide, particularly aimed at female players. If you want to give online poker games a go, players from United States are welcomed at Raging Bull Casino for real money or free play, with some fun computerised poker variants available to choose from.